8 Comments This post may contain affiliate links. 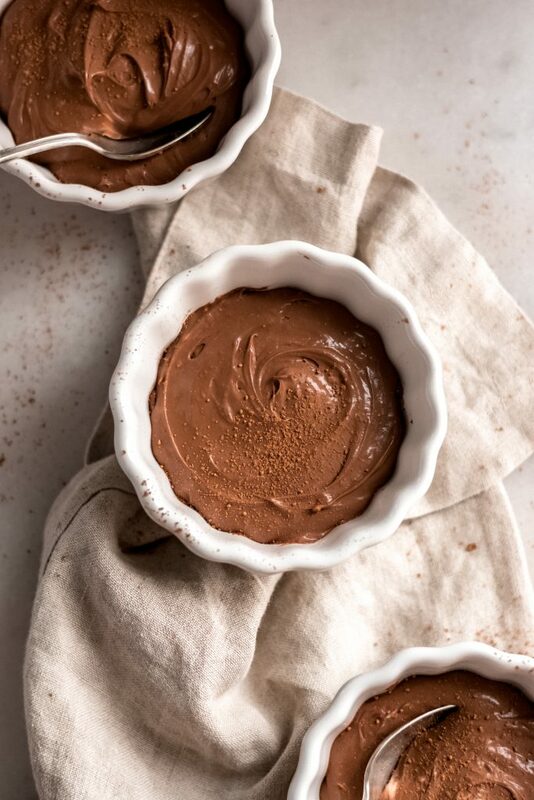 You’re going to love this low carb chocolate pudding recipe that’s made with minimal ingredients! I am sharing this post in partnership with Lakanto. As always, all opinions are my own. I appreciate you supporting both me and the brands that allow me to create quality content for you! You guys! It’s time for another tasty CHOCOLATE recipe! You knew it was coming, right?! I LOVE all things chocolate and make it a point to enjoy at least a little chocolatey treat almost every day. That being said, I LOVE when I open up my fridge and have this keto chocolate pudding on hand. Pudding is SUCH a comfort food, and I’m so excited to share this amazing homemade chocolate pudding recipe with you! If you are a pudding lover like myself, you are going to absolutely LOVE this. This pudding is easy to make, super low in carb content, and absolutely delicious! What could be better?! One of the reasons this pudding is SO amazing is because it only requires FIVE ingredients! Seriously, you guys. It is almost TOO easy. 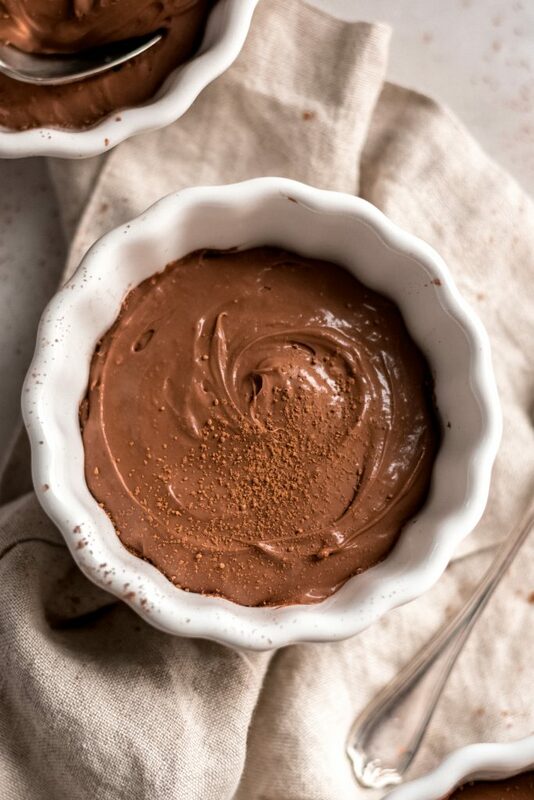 With just cream cheese, heavy whipping cream, unsweetened cocoa powder, vanilla extract, and of course, monk fruit sweetener, you will have the TASTIEST keto chocolate pudding EVER! The easy factor doesn’t end there. On top of only requiring five ingredients, this pudding only requires ten minutes of prep time. TEN! You simply mix all of the ingredients (check specific instructions below, as there is an art to it! ), and then let it chill in the refrigerator for an hour. After an hour, BOOM. You’ve got delicious chocolate pudding! 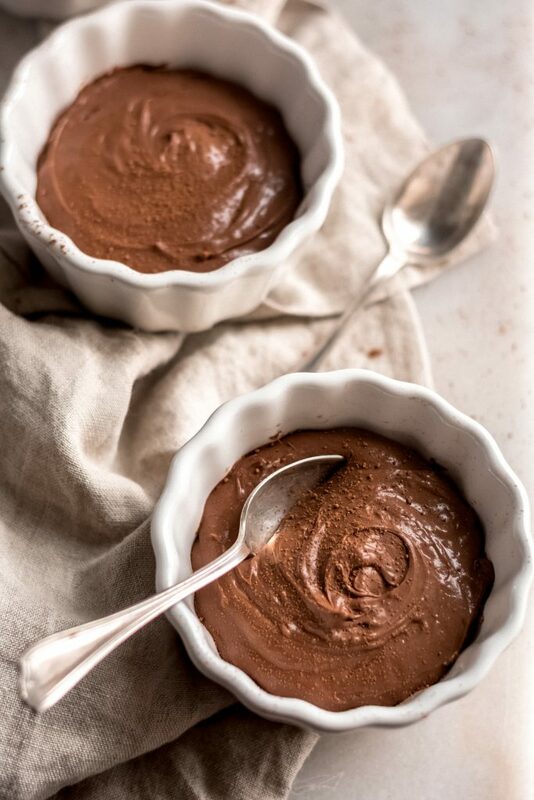 If you’re a regular Real Balanced reader, I’m sure it is no surprise to you that this delicious chocolate pudding is completely low carb and perfect for the ketogenic diet. 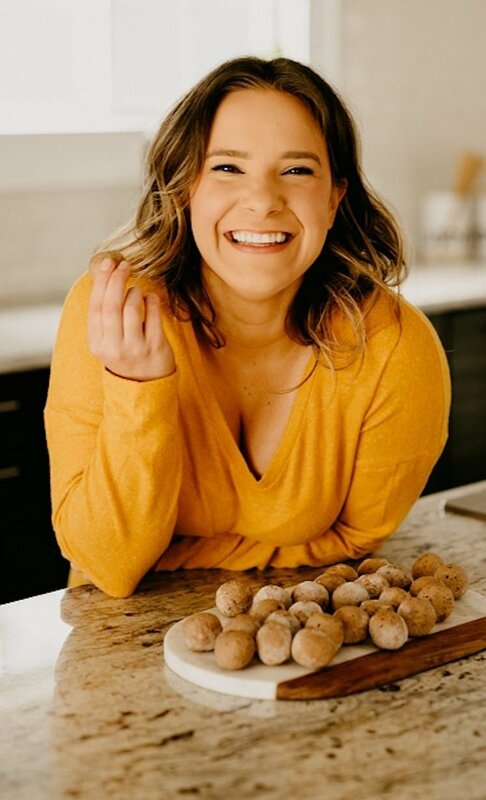 A HUGE follower of the keto diet, I specifically create ALL of my recipes to be as low in carbs as possible. Whether I’m making a giant, savory dinner dish or a yummy dessert, I keep everything low carb. Who said you can’t enjoy a little something sweet when on the keto diet?! It’s actually TOTALLY possible, and super easy, at that! This keto chocolate pudding only contains 3.6 grams of net carbs per serving. How incredible is that?! One of the ways I keep the carbohydrate count of sweet dishes low is by using Lakanto Monk Fruit Sweetener! Lakanto makes the absolute BEST sweetener out there. It tastes DELICIOUS! It’s net carb free, calorie free, and zero glycemic, meaning it will NOT spike blood sugar! It tastes exactly like sugar, and it’s honestly a life saver when it comes to creating ketogenic diet-friendly sweets. Oh, and did I mention it is ALL-natural?! Monk fruit sweetener is great because it incorporates into recipes SO easily. 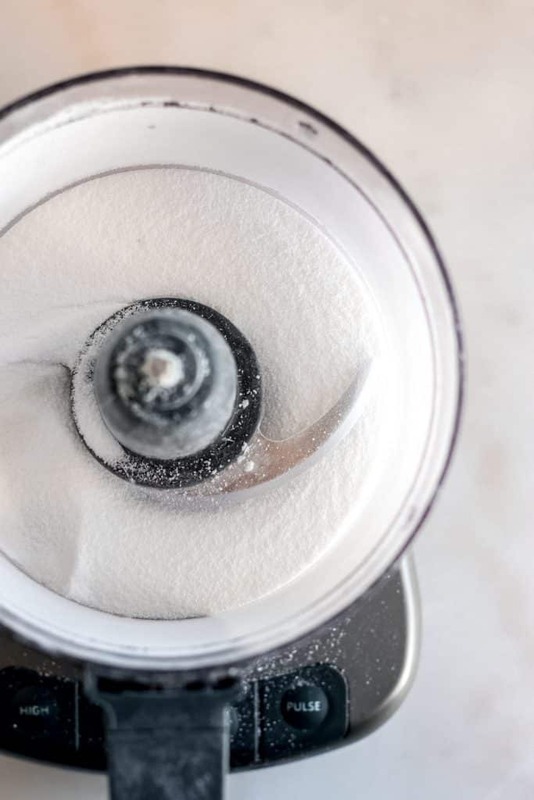 It utilizes a 1:1 ratio to granulated sugar, so there is no measuring required. Lakanto offers two variations of their sweetener: Classic and Golden. Classic is typically used as a replacement for white sugar, and Golden for brown. However, you can use both variations interchangeably! Whichever you have on hand will work completely fine. If you would like to try out Monk Fruit Sweetener, now is the PERFECT time. Lakanto provides TWO awesome ways for Real Balanced readers to save. Use code “REALBALANCED” to save 20% on your Lakanto purchase! OR, if you’re interested in trying out the products first, save 60% on the Lakanto Taste Test Bundle! 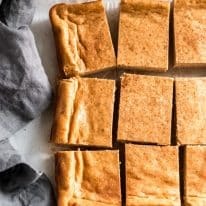 This yummy recipe produces eight servings, though you may want to make a little extra, because I have a feeling you will want to DEVOUR this tasty stuff! This recipe can be easily doubled or tripled to work as the perfect dessert dish for your next dinner party! Trust me, it will be a HIT. Pour ½ cup classic monk fruit sweetener into food processor. Pulse monk fruit sweetener until powdered. Set aside. In a mixing bowl, using an electric mixer, mix cream cheese until creamy. Add powdered monk fruit sweetener, heavy cream, unsweetened cocoa powder, and vanilla extract. 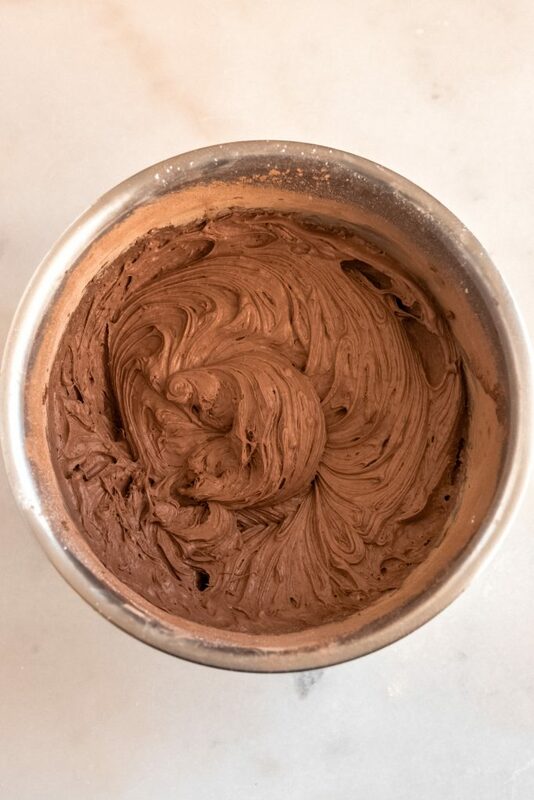 Mix together with an electric mixer until ingredients are well-combined. Cover bowl with lid or plastic wrap, transfer to refrigerator, and chill for 1 hour. Chocolate pudding for a BUNCH of diet types! 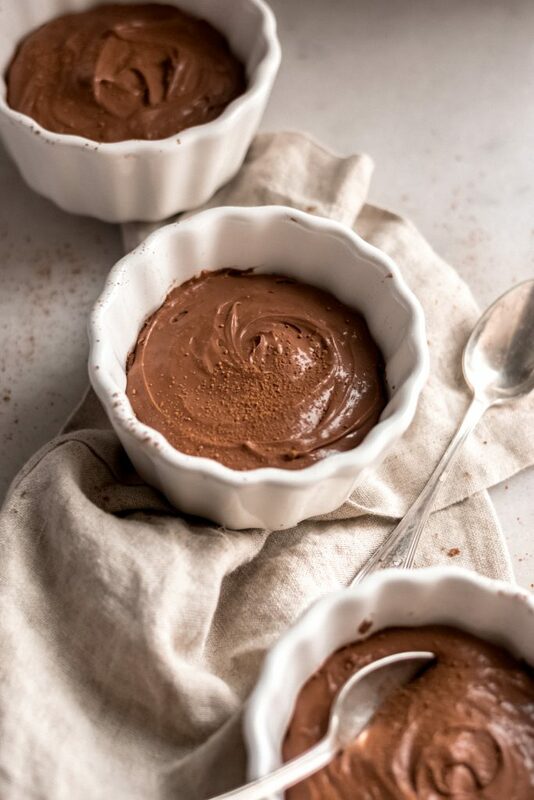 This keto chocolate pudding is great for more than just the keto diet! Requiring a simple list of ingredients, this pudding is compliant with a bunch of different lifestyles. Keto and Low Carb: This healthy chocolate pudding only contains 3.6 grams of net carbs per serving, making it the ultimate low carb treat! Gluten Free: There are no wheat, barley, rye, or other gluten-containing products included in this recipe. Grain Free: This recipe is free of grains. 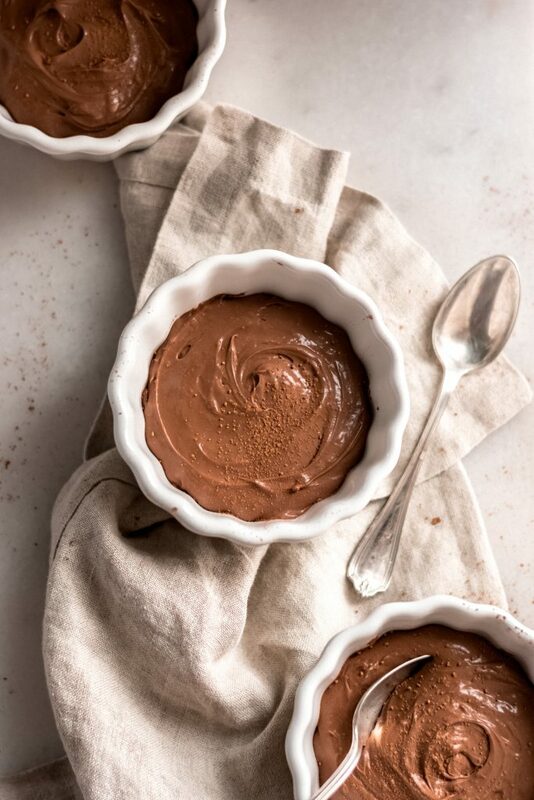 Primal: This homemade chocolate pudding follows primal diet guidelines. Nut Free: There are no peanuts or tree nuts included in this pudding recipe, making it perfect for those with nut allergies and intolerances. Egg Free: This recipe does not require eggs. 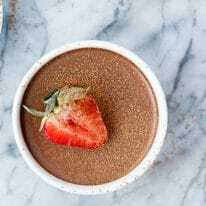 Coconut Free: This easy, low carb chocolate pudding recipe does not include coconut products. Vegetarian: Free of meat, this recipe is safe to consume for vegetarians. 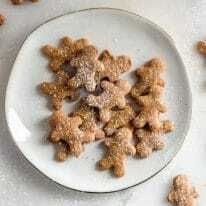 Sugar Free: Thanks to the use of monk fruit sweetener, this recipe is free of granulated sugar! Craving some more sweet treats from Real Balanced? You’ve come to the right place! From classic, Low-Carb Chocolate Chip Cookies and Low-Carb Triple Chocolate Zucchini Muffins to Low-Carb Almond Joy Bars and Keto Flourless Mocha Brownies, there is something for EVERYONE to enjoy! For this compilation of desserts, I kept the chocolate theme going strong! However, if you’re looking for something with a different type of base, whether it be vanilla, fruity, or something else, check out the Real Balanced Dessert Archives! Trust me, I’ve got you covered. Do you love chocolate pudding? If so you’re going to love my low carb chocolate pudding that is sugar free and only has five ingredients. 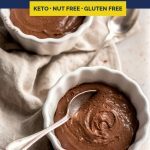 My easy keto chocolate pudding recipe will become your new favorite keto dessert! In a food processor, pulse monk fruit sweetener until powdered. Set aside. 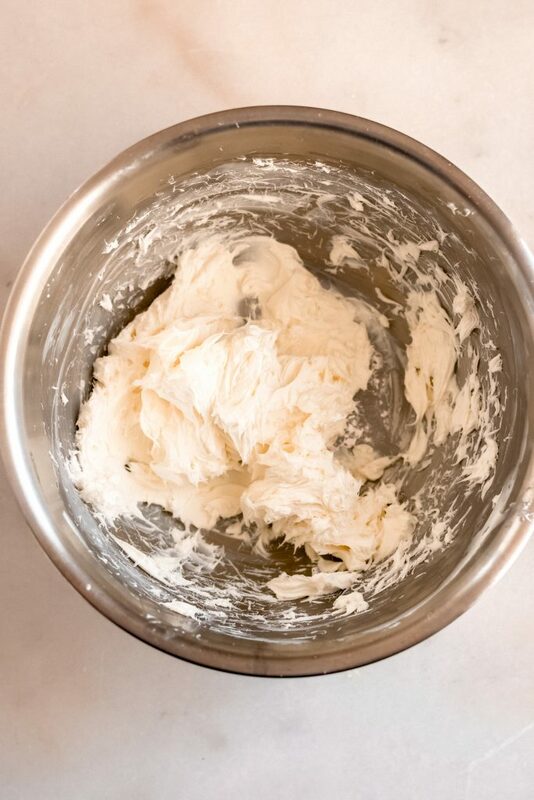 In a mixing bowl, using an electric mixer, mix cream cheese until creamy. 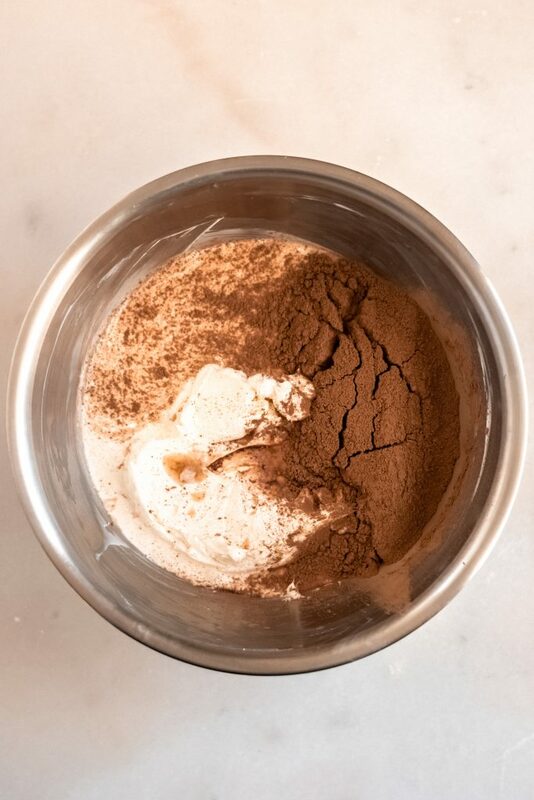 Add powdered monk fruit sweetener, heavy cream, unsweetened cocoa powder, and vanilla extract and mix again with electric mixer until ingredients are well-combined. Cover bowl with lid or plastic wrap, transfer to refrigerator, and chill for 1 hour. Serve chilled. I made the pudding. Creamy and delicious just like I hoped! The only thing is that it turned out a little bitter. I had to add more stevia to it. I plan in reducing the cocoa powder a bit. Can you do this recipe dairy free using Daiya cream cheese and something other than heavy whipped cream? What if I have Monk Powder Sugar would that not be able to be used instead of using the regular and putting it in the food processor? Great question, Cindy! 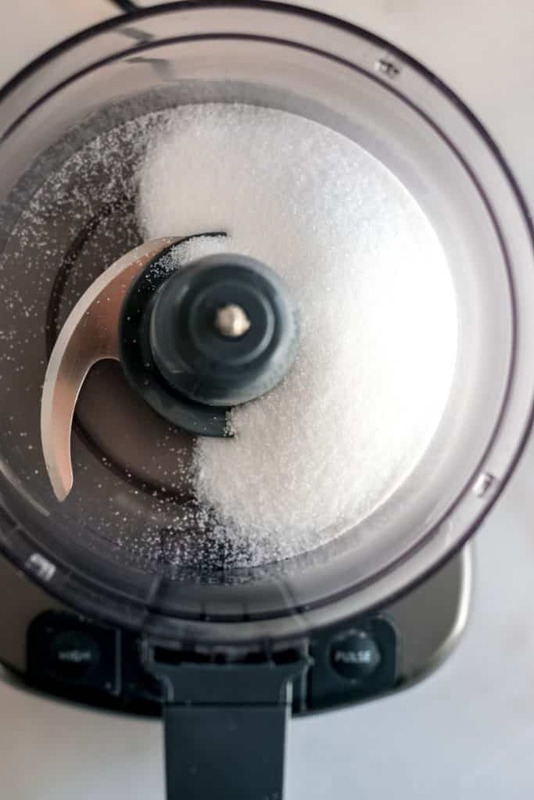 Since your monk fruit sweetener is already powdered, you can just skip the step of pulsing it in the food processor. So yummy! Thanks, Ren! ?